Too bad the Romans Didn’t have FORTA® Concrete Fiber. FORTA® will always be attentive, responsive, and pay close attention to our customers. We will honestly and proudly lead our customers into the future of fiber reinforcement technology. We will serve our customers with the highest standards of professionalism and excellence in ways that will move them to brag about our products and services. FORTA will not be satisfied simply to be in the fiber business. We will continue to partner with our customers to maintain our continuing dream of “Reinforcing the Future”. The use of fibers to fortify building materials may seem like a new idea, but its roots can be traced back thousands of years to ancient Egypt when crude straw “fibers” were added to clay and mud building blocks and bricks. Although primitive in design, these fibers provided a structure and toughness that the Egyptian builders found very beneficial. Early plasterers achieved similar results by adding both horse and pig hair to plaster as a method of reinforcement. And while the design and uniform distribution of these early fibers were problematic, the basic theory of adding three-dimensional fibers to increase the toughness and durability of various building materials proved to be valuable. Centuries later, FORTA Corporation has transformed and revolutionized this basic concept. By combining space-age synthetic materials with unique designs and shapes, it now supplies the international construction market with reinforcement fiber products that minimize cracking, improve material performance and add long-term durability in a wide variety of concrete, asphalt and other applications. 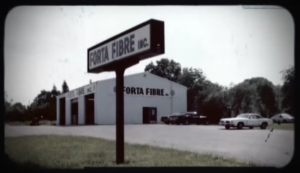 Since 1978, the products, services and people of FORTA have played an important role in the design, construction and preservation of Stronger Lasting™ roads, bridges and buildings around the globe. Through an ongoing commitment to research and development, FORTA will continue to envision and construct the future of reinforcement fibers.